Published in Scotland. Dyslexic-friendly "RA8IA8-12"--Back cover. Noah Scape loves dinosaurs and spaghetti with tomato sauce. 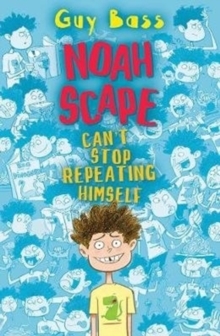 But Noah doesn't always get what he wants and when school doesn't revolve around dinosaur facts and lunch isn't always his tried and tested favourite, well... enough is enough! It's time for him to stop wishing and to decide on exactly what he needs; a world full of Noahs!